ST. LOUIS -- July 20, 2004 -- Build-A-Bear Workshop(R) is celebrating the birthday of Read Teddy(R), a very special furry friend in the Build-A-Bear Workshop family of stuffed animals. 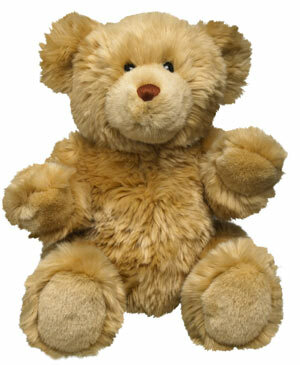 Read Teddy was created in July 2002 when Build-A-Bear Workshop made a commitment to support literacy and education. For each Read Teddy purchased, a portion of the proceeds is donated to First Book,(R) a national non-profit literacy organization along with other literacy organizations. To compliment Read Teddy, Build-A-Bear Workshop created Bearemy's Book Club(R) because, just like teddy bears, books can carry kids of all ages off on adventures greater than they could ever imagine. Part of Bearemy's Book Club is a new online book called, Into The Unknown, written by Connie McIntyre and Amy Glaser Gage that takes Read Teddy and Page the Bookworm on a reading adventure as they follow Lewis and Clark -- Into the Great Unknown! The book club encourages children of all ages to read by providing a monthly reading list and an opportunity to review and rate books for other kids. For more information about Bearemy's Book Club and the new Build-A-Bear Workshop online book please visit www.buildabear.com/funStuff/bearemyBookClub. "Children are the heart of our company," said Maxine Clark, Founder and Chief Executive Bear. "Being able to read and write is core to the education and successful development of children and it is an important goal of Build-A-Bear Workshop to support causes that benefit kids." As a way to support youth who are giving of themselves to advance the causes of literacy and education, Build-A-Bear Workshop created the Huggable Heroes(sm) program. Local children across the country will be recognized for making a difference in their own neighborhoods, schools and communities in many philanthropic areas including literacy and education. All Build-A-Bear Workshop(R) stores are also selling satin hears for $1. The money raised from the sales of these hearts during July will support First Book and other literacy organizations. Build-A-Bear Workshop is an interactive, entertainment mall-based retailer that invites Guests of all ages to create their own customized stuffed animals through an exciting bear-making process. The first store opened in St. Louis, Missouri, in 1997, and the company now operates over 160 locations in the USA with four stores in Canada. Build-A-Bear Workshop opened its first international store in Sheffield, England in the fall of 2003 and recently opened stores in Japan, Korea and Denmark. The company is on track to open more international stores this year including its first store in France and Australia, making it the global leader in the teddy bear business. Based on a survey compiled by Shopping Centers Today, a publication of the International Council of Shopping Centers (ICSC), Build-A-Bear Workshop was one of six retailers chosen and presented with the ICSC "2004 Hot Retailer Award". For more information on the company and its products call (877) 789-BEAR (2327) or visit the company's award-winning web site at www.buildabear.com.